This company's engines powered the most recent launch of WGS-10 satellite with 705,000 pounds of lift-off thrust, and that was just the beginning. 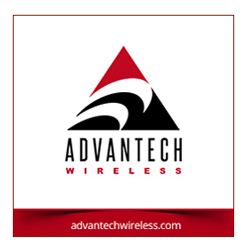 Aerojet Rocketdyne played a major role in successfully supporting the launch and placement of the tenth Wideband Global SATCOM (WGS-10) spacecraft into orbit for the U.S. military. The mission was launched from Cape Canaveral Air Force Station in Florida aboard a United Launch Alliance (ULA) Delta IV rocket. Aerojet Rocketdyne propulsion systems on the Delta IV rocket included an RS-68A booster engine, an RL10B-2 upper-stage engine, 12 MR-106H reaction control thrusters and 14 helium pressurization tanks. On the WGS-10 satellite, Aerojet Rocketdyne provided the High Performance Apogee Thruster (HiPAT™) bipropellant, apogee-raising engine. Aerojet Rocketdyne CEO and President Eileen Drake said that the Aerojet Rocketdyne team is privileged to work on a wide variety of programs that support our nation’s warfighters. WGS-10 will provide our nation and its allies with the ability to securely exchange information, perform reconnaissance and execute tactical command and control. 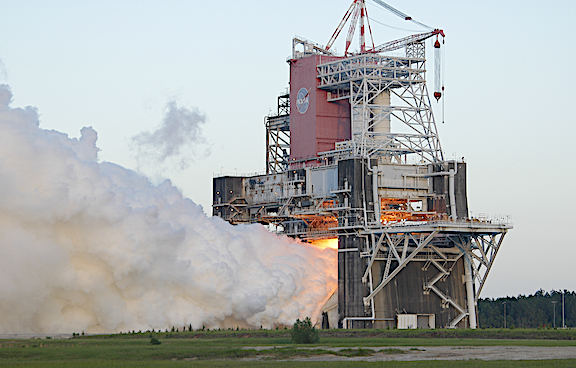 Aerojet Rocketdyne’s role in the launch began when a single RS-68A engine ignited to boost the Delta IV off the pad, providing more than 705,000 pounds of lift-off thrust. Following separation of the upper stage from the launch vehicle, an RL10B-2 engine provided 24,750 pounds of thrust to power the Delta IV upper stage using cryogenic liquid hydrogen and liquid oxygen propellants. Different models of the RL10 have been in service for more than five decades with nearly 500 engines flown in space. Twelve MR-106H 9-lbf reaction control thrusters provide roll, pitch and yaw control for the upper stage through payload deployment. ARDÉ, a subsidiary of Aerojet Rocketdyne based in New Jersey, manufactures the pressure vessels on the first and second stages of the launch vehicle. These pressure vessels hold industrial gases that are used during the Delta IV’s climb to orbit. Following spacecraft separation, WGS-10 will carry out several burns using Aerojet Rocketdyne’s HiPAT™ rocket engine to raise its orbit from a geosynchronous transfer orbit to its final geosynchronous orbital position. 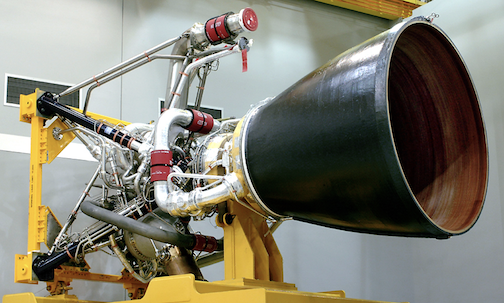 The HiPAT™ rocket engine produces 100 pounds of thrust and has a 100 percent mission success track record spanning more than 130 missions, including all previously launched WGS spacecraft.